As a health care provider, the patient is always your main concern. Of course, the care you provide is also guided by laws and regulations. While some of these laws and regulations can make the jobs of doctors, nurses, pharmacists and other providers more complicated, we can all agree that the majority of them help ensure that patients and health care professionals are protected and everyone can access the same high-quality medical care when it’s needed. 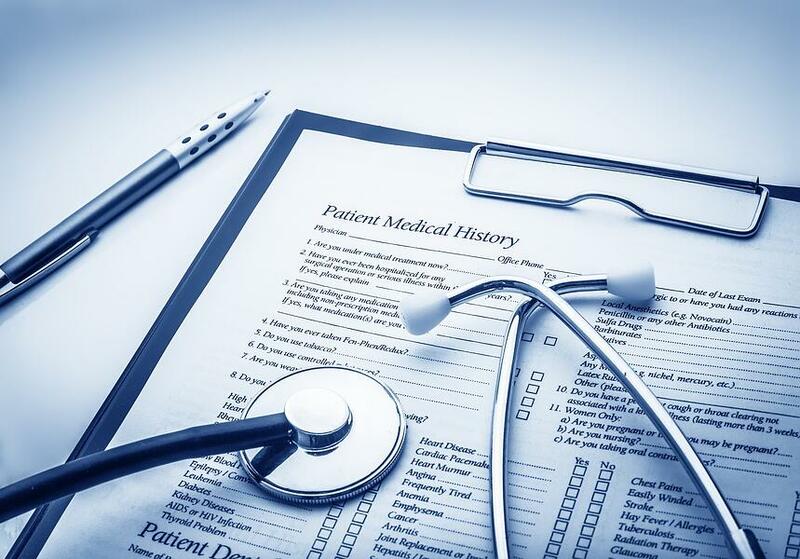 An example of a legal requirement that benefits health care professionals and patients alike is the need to translate vital documents into the languages most commonly found in the area where a hospital or clinic is located. There are six vital documents that must be translated according to law.Title IV of the Civil Rights Act of 1964 prohibits discrimination based on national origin (among other things) by any organization receiving federal funding. Failure to provide necessary documentation in a language the patient can thoroughly understand can be considered discriminatory under the CRA. In 1997, the specific requirements for translation were clarified through the Critical Access Hospital Program, which focuses on those hospitals in areas of the country where the percentage of LEP patients is higher and the relative number of adequate care facilities is low. Like the Civil Rights Act, Section 1557, the nondiscrimination provision of the Affordable Care Act, also requires organizations that receive federal funding to take reasonable steps to include the provision of language assistance services, including written translation. However, Section 1557 sets a new requirement that translators be qualified. Under Section 1557, organizations must now also post notices of nondiscrimination and taglines in the top 15 languages spoken by individuals with LEP in that state that indicate the availability of language assistance. The list of vital document categories provides thorough coverage for a patient from triage to discharge and beyond. Every major touchpoint of the patient’s journey is included. 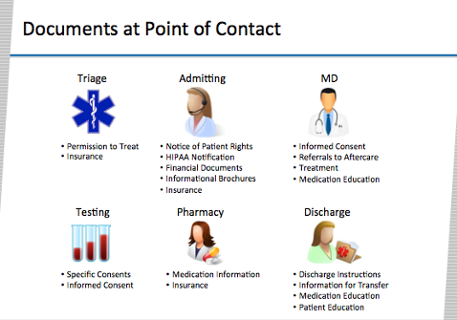 The following graphic illustrates examples of specific forms that would fall into these categories and the touchpoints to which they connect. Who Should Handle the Translation? In some cases, hospitals have utilized bilingual staff to translate these and other documents into Spanish or other common languages in the areas where they serve. But is this the smartest strategy? Is the bilingual staff member indeed qualified to translate as required under Section 1557? What if the resulting translation is not perfect? What if a slight error results in a miscommunication or completely faulty instructions being provided? Could your patient’s health or even life be at risk? To avoid frustration, costly legal issues, and dangerous health outcomes, many health care facilities have opted to contract with a professional translation service using qualified translators to handle the translation of vital documents into necessary languages to serve the LEP patients that rely on them for care. Doing so ensures that the patients receive the information they need to participate in their own treatment and make the most of the doctor’s instructions. And, it frees up health care professionals to focus on their top priority – caring for the patient – without having to worry about unintentional miscommunications getting in the way of adequate care.